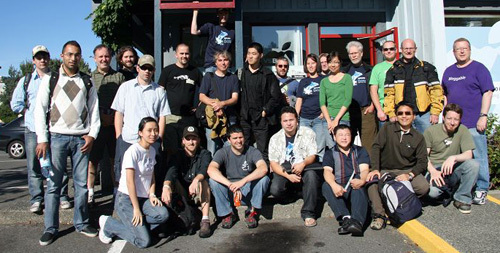 Drupal Camp Victoria (#DCVic) at North Studio was a joy. A great part of this joy was the freedom from having nothing what-so-ever to do with its organization! But it was more than that. Local Drupalers Amir and Ryan Dempsey stepped up and organized our very own Vancouver Drupal-mobile rental van. Although the van was squishy the company was great. The trip from Vancouver to and from Victoria passed quickly. During our ferry ride over I teamed up with Dave O. from Raincity and videoed Dave doing what he does best.